By comparing the product prices between 2 chemists/pharmacies, Chemist Warehouse is the cheapest. It is $5.60 (40 %) cheaper than next price leader (Discount Drug Stores). The current price at $8.39 is the lowest among competing chemists/pharmarcies since 24 Mar 2018. 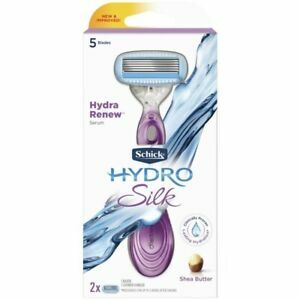 Similar product Schick Hydro Silk Razor & Blade Kit 1pk can be found at ebay Australia at $14.59.